I don't mention the other big nominees (La La Land, Hidden Figures, Arrival, Loving...) because there's no way I would have missed those (period films, musicals, science fiction, space... all totally up my alley!). I'm noting below my personal list of preferences & predictions, but I sure am glad I don't get a vote 'cause I honestly don't know how to choose in some of these categories!!! BEST PICTURE - My favorite remains La La Land, but after tonight I'd have to re-watch to be sure I'd still vote for it instead of Fences. In any case with 14 nominations my guess is it will continue its awards sweep and take home the Oscar. I know Moonlight is a potential upset, and although an amazing film, I didn't care for the filming style, too "in your face and up close" for my taste. 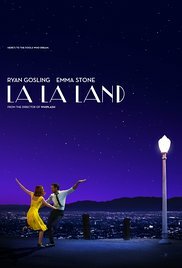 BEST DIRECTOR - La La Land for sure! Damien Chazelle is the genius behind this film. That opening number alone is insane! BEST LEAD ACTOR - Up until a few hours ago I would have said Casey Affleck (he was amazing! ), but no way now. Denzel Washington just blows any competition out of the water in Fences! BEST LEAD ACTRESS - Honestly here is where I'm weakest, not having seen either Elle or Florence Foster Jenkins. I'm sure Meryl Streep is amazing as always in the latter, but from what I've read it's not necessarily awards-worthy. I'm going to go with the one I enjoyed the most: Emma Stone for La La Land. BEST SUPPORTING ACTRESS - No competition: Viola Davis for Fences! Slam dunk, moving on. CINEMATOGRAPHY - I'm never quite sure what they're looking for in this category, but for its visuals my vote would go to Silence which was gorgeous! COSTUMES - Please a win for Fantastical Beasts and Where to Find Them! The fabulous work of bringing out period clothes, and adapting them to the Wizarding World and making them "fit" their characters so well... was wonderful!!! EDITING - Honestly I don't know if I'd vote for Hacksaw Ridge or La La Land for this one! SOUNDTRACK - My preference is definitely for Justin Hurwitz for La La Land! Not only is the movie almost as much to his credit as classmate Damien Chazelle, but I can't stop myself from playing the soundtrack and those songs over and over! PRODUCTION DESIGN - My preference would be for Fantastic Beasts... but I think La La Land will take this in its sweep of the board. VISUAL EFFECTS - How to choose??? My heart will always go to Star Wars (Rogue One), but I think Doctor Strange was probably visually more complex. But considering The Jungle Book is pretty much ALL Visual Effects... I'm guessing it will win. Rest of the categories: haven't seen enough, or don't find myself knowledgable enough to emit an opinion. How about you? Any preferences/predictions?